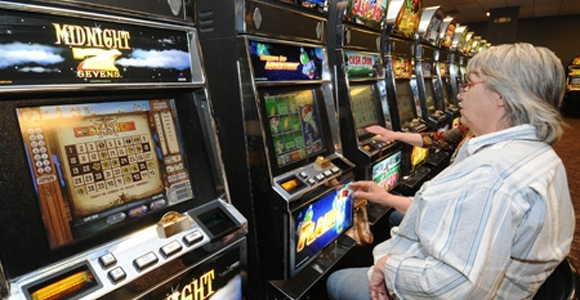 Many casinos are seeing a common occurrence, young people do not like playing slot machines. Many give the reason as they are too boring, and are for “zombies”. Well, casino owners have noticed that the majority of their patrons that do enjoy a game of slots are on the older side of age. They do have a plan, and it seems like it is a plan that could work considering the technology and gaming patterns of the younger crowd. Everywhere you look, you will see people on their cell phones and mobile devices playing tower defense games and the like. These games are interactive, immersive, and best of all, skill based; you get better the more time you play, giving the player a sense of satisfaction. Eric Meyerhofer, CEO of Gambling Gambit, believes that this is the key to bringing in and retaining younger generations of players when it comes to slot machines; seeing as how currently only 2% of players are under the age of 35. These games are based on luck, which is a deterrent for many of the younger generations. As such, they have actually implemented a great strategy by using skill-based games that you could find on your iPhone/iPad or Android devices, and that are so entertaining and addictive. This way, they create a game that will allow patrons to enjoy themselves, while the casinos make a profit. A good example of this is the game “POLICE POOCHES VERSUS ZOMBIE CATS” developed by Meyerhofer. Players will pay for each turn, as if it was a spin on the reels, and they could even win big jackpots if done correctly. It is a very interesting idea, and may lead to a huge change in the way slot machines are created and played.